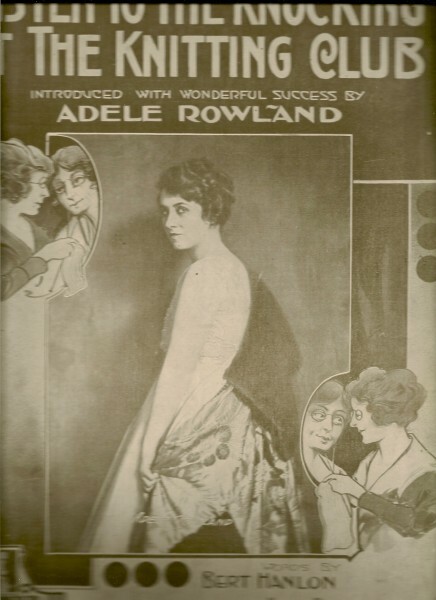 In 1917, when America entered the war, Mabel Boardman, the only female member of the Red Cross Central Commission, surveyed their supply of wristlets, helmets, socks and mittens, and shook her head. There was barely enough to sustain the growing number of troops being deployed overseas through a single winter, much less the several it may take before the war would be over. And what about the poor Belgian refugees…? 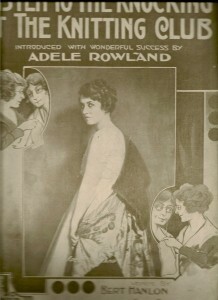 Mabel decided to launch a campaign, urging all American women to knit. The Red Cross put out knitting pamphlets and patterns. 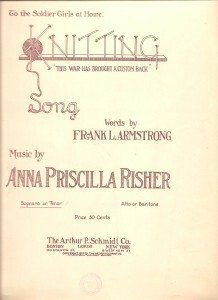 Newspapers wrote about this campaign, and by the war’s end, over thirty million knitted garments had been produced. Everyone was knitting. Children, mothers, pretty young things, and even elderly women, who had knitted socks and hats for their fathers and brothers back in the Civil War, now knit vests and ‘stump socks’, for those soldiers whose limbs had been amputated or lost on the battlefield. Yarn mills started producing special ‘Water Repellent’ yarn in khaki and grey for the soldiers. Yes, all across America, the needles were flying. It was more than a fashion, more than a fad. And, of course, the songwriters of Tin Pan Alley soon added to the fervor with almost two dozen songs about knitting. 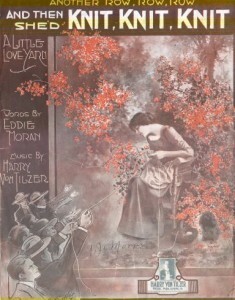 This wonderful music has been ‘lost’ since the war – it was never recorded, it hadn’t been sung for nearly a century. Until now. 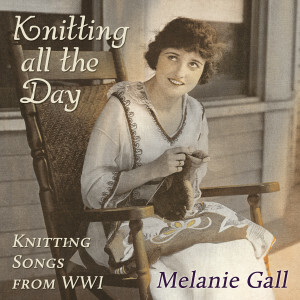 Soprano Melanie Gall, with the help of knitting historian Karen Ballard (www. 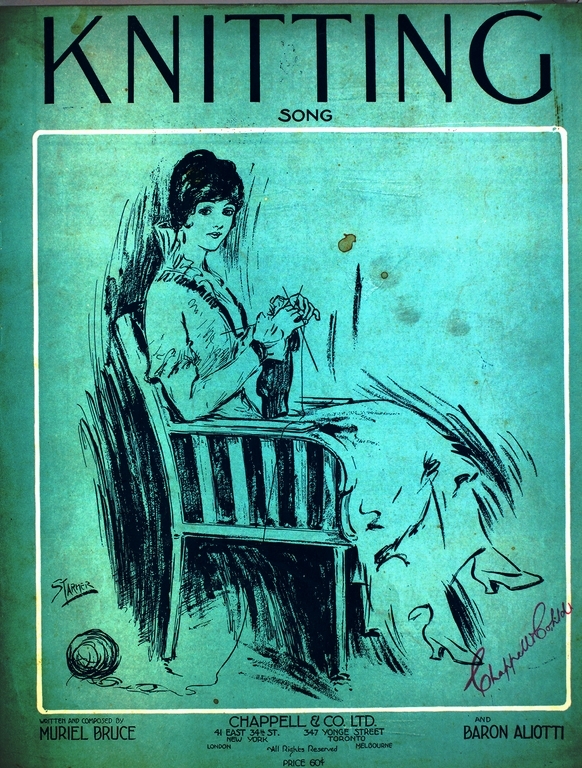 threadwinder.info ) brought back these funny, clever and poignant songs. 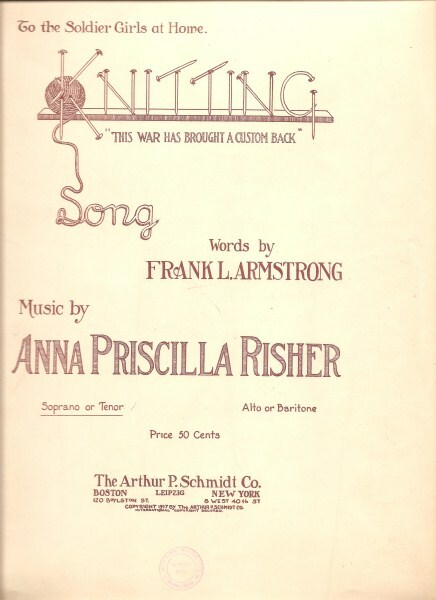 From the novelty tune ‘Knocking at the Knitting Club’, to the ballad ‘Each Stitch is a Thought of You’, this music reflects the lives, lives and hopes of an unforgettable time in our world’s history.